ARRA News Service: Help Denied DURING Benghazi Attack! Help Denied DURING Benghazi Attack! Editor's Note: Regarding the link referenced by Gary Bauer to the attack on Rev. Billy Graham and value voter, the event took place on CNN News. The CNN commentator asks her guest if Graham's privately funded ad asking Christians to vote for candidates supporting life and traditional marriage was partisan. When did standing for Christian values become partisan. The liberal democrat Rev. Markel Hutchins attacks the mental stature of Rev. Billy Graham by stating, "I think one of the things that we know is that Reverend Graham is at a very seasoned and elder stage of his life so we have to wonder how much of this is genuinely coming from Billy Graham and how much is being fed to him and propositioned and heaped upon him by those who are around him. For example, his ultraconservative son, the Reverend Franklin Graham." He then went on to bash Mormons. Shouldn't the CNN anchor have called him on being partisan since he was challenging people based on their "religion"? Gary Bauer, Contributing Author: Fox News broke an extremely disturbing report this morning. If the facts are accurate, this could be Barack Obama's "Desert One debacle" -- Jimmy Carter's failed attempt to rescue the Iranian hostages. According to the report, officials at a CIA annex in Benghazi requested military support multiple times during the attack on the consulate. Each time they were turned down. When they requested permission to assist the consulate staff, they were told to stand down. "Tyrone Woods and Glen Doherty … were killed by a mortar shell at 4 a.m. Libyan time, nearly seven hours after the attack on the Consulate began -- a window that represented more than enough time for the U.S. military to send back-up from nearby bases in Europe, according to sources familiar with Special Operations. "For seven hours our men were under attack and got no help from Washington! We already knew that the embassy staff had repeatedly requested more security months prior to this attack. They were repeatedly denied. Now we are learning that CIA operatives on the ground repeatedly asked for reinforcements during the attack and they were denied! This should be a huge story! Will the other networks pick up on it? I'm skeptical because of the potential damage it could do to Obama's reelection chances. But if this story gets legs, the White House will no doubt blame it on the CIA. Don't fall for it. After four years, any administration has had sufficient time to establish its control over every agency in Washington. Most of the bureaucrats are sympathetic to Obama anyway. But after four years of bowing to radical Islam, even those who are professional civil servants know what decisions could end their careers. Obama's Disgusting New Ad - It is hard to imagine the Obama campaign stooping any lower after yesterday's outrageous insults toward Billy Graham and values voters. But somehow they managed it. In a new ad, a young "hip" woman compares voting for Barack Obama to losing her virginity. So the president now wants to seduce young women by asking them to 'do it' -- vote-- for the first time with him. I hope parents will talk to their daughters and tell them about the sweet-talking men who promise girls the world in order to have their way with them, only to abandon them the next morning, when the girls realize that the empty promises were just part of the seduction. In my view, this ad and the renewed focus on abortion reflect the growing desperation in the Obama campaign. They are trying -- too hard -- to energize young female voters who just aren't that into Obama anymore. Don't Mess With Texas! - U.N. observers are coming to the United States to make sure our elections are fair. Seriously? With all the problems in the rest of the world, the U.N. is sending observers here? The "blue helmets" may get a warm welcome in San Francisco, but Texas Attorney General Greg Abbott is warning they could be arrested. Yesterday, Abbott sent a letter to Hillary Clinton telling her that nothing in the Texas election laws permits U.N. "representatives to enter the polling place and nothing in a document that may govern" their conduct "has any impact … on the conduct of elections in the State of Texas." The U.N. monitors have reportedly met with activist groups opposed to voter ID laws. When the group went whining to Hillary that threats of arrest were "unacceptable," Abbott tweeted, "Bring it!" God bless Texas! 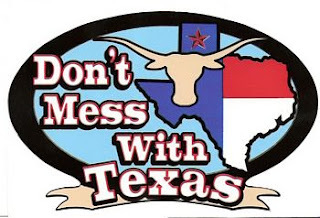 Tags: Gary Bauer, Campaign for Working Families, Barack Obama, Help Denied, Benghazi, attack, Billy Graham, disgusting ad, 2012 election, Texas, Un Observers, Don't mess With Texas To share or post to your site, click on "Post Link". Please mention / link to the ARRA News Service. Thanks!